Are you putting together a budget for new window coverings in Lighthouse Point, FL? Setting a budget is a great way to choose the materials and features that will match your needs. As you learn more about window coverings, you will see that the prices will change depending on the products that you select. 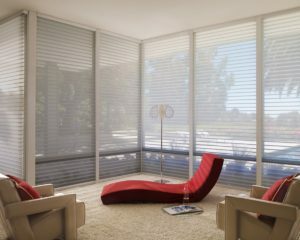 Talk to our team to compare the pros and cons of shades, shutters, and blinds. Here at Open House Interiors, we are committed to providing the best products in the industry. Our team will work hard to understand your preferences. Then, we can provide recommendations that will help you create the home of your dreams. We know that it can be overwhelming to choose window coverings, so our team always offers the support that you need. One advantage of new window coverings is that you can improve the décor of your home. These products will change the appearance of each room. Not only will you boost the look and feel inside, but these upgrades also have a positive impact on curb appeal as well. We encourage you to view the options that are showcased in our office. Our showroom is designed to give you a hands-on experience with the different products that are available. You can compare the materials, functions, and style. Then, you can pick the solutions that will create the right appearance in your home. When you schedule a consultation, we will help you look at the advantages of all the window covering categories: blinds, shades, and shutters. You can consider the price points and features and then customize your order to match your needs. You might get fresh ideas by looking at examples of other homes. Do you have a friend or family member with the type of window coverings that you want in your home? Ask them to send a photo of the windows so that you can share the details with our installation team. Another option is to look online for examples of the window coverings that you want to install. There are many photos of various styles of designs. Then, you can bring the image to our showroom to match the products that are available. Do You Need a Big Budget? Setting a budget is important if you want to manage your expenses. This step is essential if you are juggling several home renovations simultaneously. But, it can be hard to set a budget if you don’t know a lot about the window covering industry. If you are trying to set a budget, the best thing that you can do is talk to our team about the price points for the type of products that you prefer. We can help you compare the various options so that you know the benefits of the higher priced products compared to the cheapest solutions. Sometimes, cheap products are a great choice if you need temporary window coverings. But, you will need to spend a little more money if you want products that are built to last. Instead of getting caught up on the cost of the installation, look at the long-term benefits that are available for your family. This investment can have a positive impact on the value and curb appeal of your home. Plus, you will love the new environment that is created for your family. You can’t put a price tag on the luxury of living in a home that you love. Is It Time to Replace Your Window Coverings? Walk through your home and assess the current condition of your window coverings. If you aren’t satisfied with the appearance and function of the materials, then you need to schedule a consultation with our team. We will teach you more about the industry and help you choose the products to match your needs.